From the Iron Age to the Industrial Revolution, the Romans to the Regency, few things have mirrored society or been affected by its upheavals as much as the food we eat and the way we prepare it. 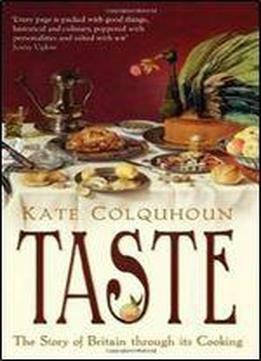 In this involving history of the British people, Kate Colquhoun celebrates every aspect of our cuisine from Anglo-Saxon feasts and Tudor banquets, through the skinning of eels and the invention of ice cream, to Dickensian dinner-party excess and the growth of frozen food. Taste tells a story as rich and diverse as a five-course dinner.